Here in the frenzy, we sometimes learn from failure. And sometimes I just make a slightly different mistake on the second attempt. So I previously discussed that I ended up making two changes to my yogurt routine at once, and thus was unable to isolate which was the cause of failure. I decided to avoid too much of a blow-by-blow by doing two more rounds of yogurt so I could actually post something that has a chance of being useful. The package comes with two packets of dried granules that look like the bread yeast packets that you put in the freezer. I followed the included instructions to heat the milk, cool it to 110 degrees Fahrenheit and then add the packet. 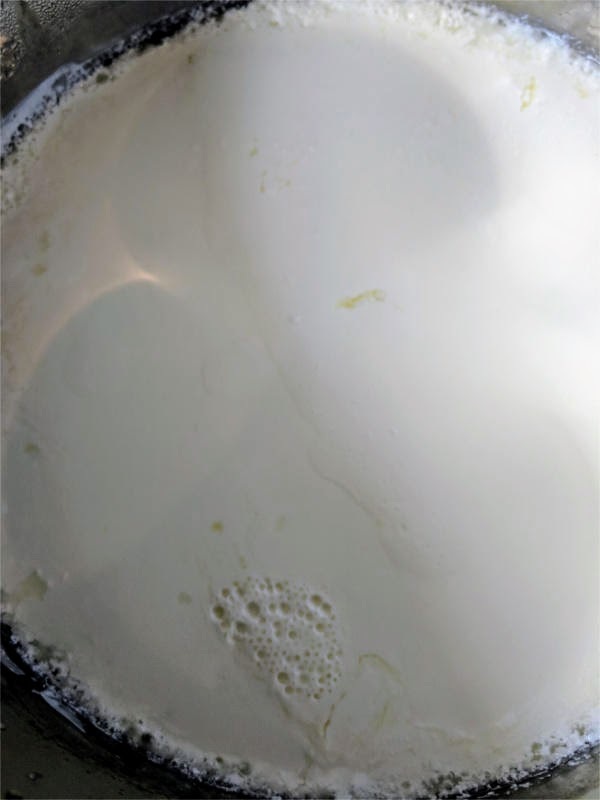 If you read carefully, it also comes with the disclaimer that this may not produce a firm yogurt the first time around but that the second time you use a starter to make yogurt the bacteria would become substantial enough to make yogurt. I decided to hedge my bets by first heating and cooling the milk to the required 110 degrees, then adding in an 8 ounce jar of the original attempt and adding the second packet as well. Unfortunately, it again failed to produce yogurt after 8 hours in the Instant Pot. I definitely followed all the instructions given in the yogurt starter. It seems I just got a dud. So I again failed. Rather than giving up on this batch, I added a couple of tablespoons of yogurt from a store bought brand and left it for an additional 8 hours, so 16 hours total. 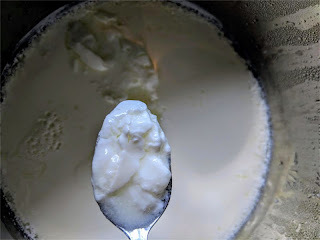 After adding the store bought brand yogurt, the instant pot produced yogurt. Success at last. I again held aside an 8 ounce jar of the resulting yogurt for a starter. I successfully used that starter to make another batch of yogurt. This time I just trusted the settings on the Instant Pot and 8 hours later I had yogurt. Now this has been a rather unscientific test because of all the changes. I now have a starter that may in theory have some of the heritage culture still in there. My guess is it was all dead and my starter will eventually fail. I'm going to keep going until I find out. But I wasn't intending to set up a science experiment. I just wanted an easier way to make yogurt and to pick up some added functionality with the Instant Pot. I now can confidently say that the Instant Pot is a much more controllable way to make yogurt than some combination of an oven and a Coleman cooler. I also feel I can tweak things slightly as I get more experience to perfect my yogurt making. If the starter I have fails, I will also know that it's because the bacteria died off, not because I didn't get the temperature range right. As an added bonus we have a very capable kitchen appliance that can substitute in for an additional crock pot or a rice cooker and has pressure cooking functions that we have just started to explore. Slowly but surely I am getting pulled deeper into the cult of Instant Pot.